Judge Gorcyca gets it. 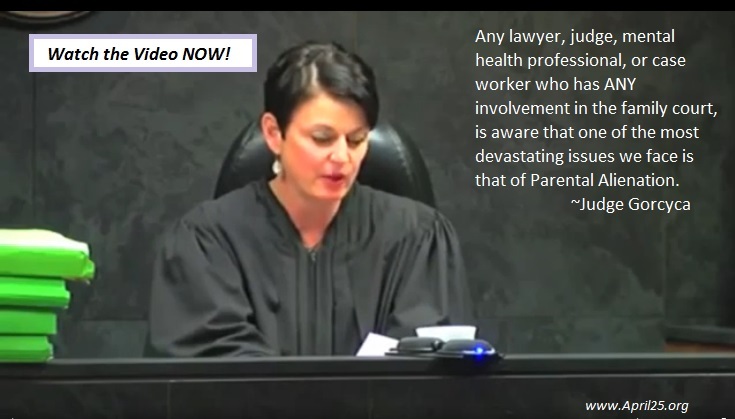 Acknowledges that Parental Alienation is horrid and all who work in court system know it occurs in our family courts and that it is a devastating issue. Judge Gorcyca: Parental Alienation "most devastating issue..."
Fox @ News story which irresponsibly misled many into believing this judge jailed children. Mother was warned that children would be taken from her if she didn't stop brainwashing children. Judge To Children: "You have been brainwashed!"